One of the best things about being a designer is getting to help out your family. My cousin is an amazing singer and I have had the pleasure of designing her cd covers and websites. Her latest single, I Like the Way is has smooth jazzy sound with a little mystery. 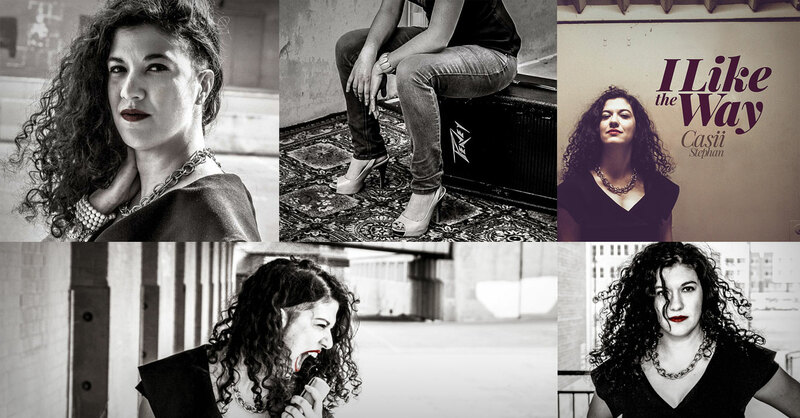 We roamed the streets of downtown Tulsa to take some pictures for the new single cover and to use on her new website. If you have ever been to Tulsa, OK, to say it was a little windy that day would be a gross understatement. We still managed to get a few good shots and found a loading area tucked into the middle of an alley out of the wind where we took what ended up being the cover shot. If you are ever in Tulsa, OK and looking to hear some great music, see if Casii is playing at one of the local spots and check her out. Bonus: She did a cover of Michael Jackson's Thriller that you just have to hear.